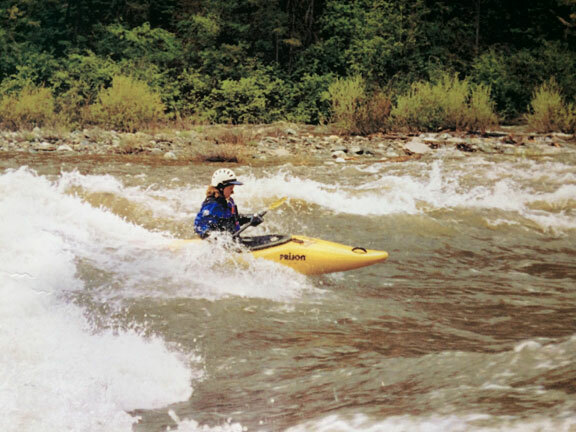 Having moved from Tennessee to Colorado, Amy White realized how much she missed splashing around, so she started kayaking in 1999. Her first thought kayaking: "Holy cow, I'm so hot in all this gear." Followed by, "Ahh, it feels so much cooler underwater, now how do I get back upright again?" 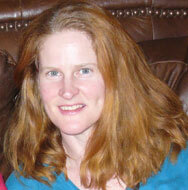 Not long after, Amy met her husband on the river. Like most gals, Amy quickly realized that sweethearts don't make the best teachers but their river friends do. A circle of river friends are the best of friends, especially when sharing memorable multi-day trips down the Salt, the Middle Fork or Bruneau. Favorite local rivers are the Poudre, the Arkansas and the North Fork of the South Platte. Amy became a certified ACA instructor in 2013 and is excited to share the beauty and excitement we all find in playing on the river. Amy surfing on the Middle Fork of the Salmon River. 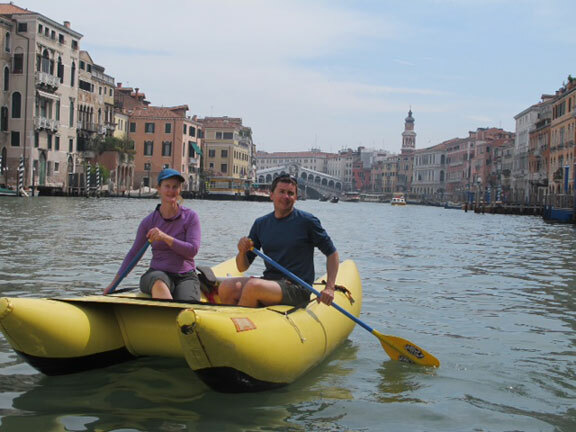 Amy and her husband in Venice.